Olympian, Emily Rosemond takes you through a range of 6 Stair Drills. Stair Drills are great for cyclists wanting to improve their power and speed on the bike! Because the body is constantly being lifted upward with each step, it engages more leg muscles than running (which is not our recommendation for cyclists), is easier on the joints and improves vertical jump (a measure of power). 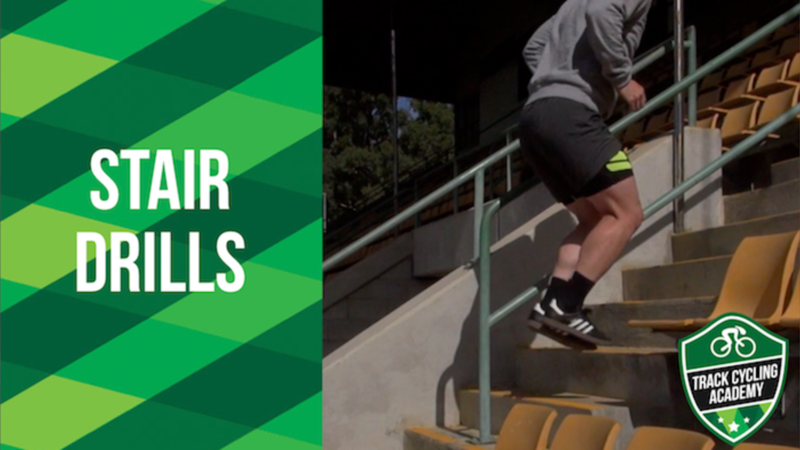 These stair drills can be completed as a standalone session or used as a warm up before a training or competition session. All you need is a flight of 10-15 stairs at equal distances apart. We'd recommend shin guards for the bounds to avoid any nasty scrapes.